It has been projected for some time that the use of mobile devices to view online content would surpass that of desktop devices. Cisco’s 2014 Visual Networking Index reported that video content already accounts for 64% of all internet traffic, and by 2019 it is forecasted to reach for 80%. As a leading Cincinnati Video Production company, we know this alters the landscape of content marketing. With current trends, and projections such as this, the importance of effective video content cannot be ignored. Effective video marketing is more than just good quality content; it’s also Search Engine Optimization (SEO). Fortunately, good quality content isn’t limited to big businesses with unlimited budgets. Research conducted by Local Search Association (LSA) examined the growth rate of video marketing, and they predict that spending on video advertising will nearly double in the span of four years. This figure takes into consideration the growth of video marketing in small businesses (SMB) – In the past year, the use of online video marketing by SMB’s have doubled. And it’s easy to understand why. Memory recall is far greater with the use of visual aid, particularly video. It is estimated that one minute of video is equivalent to 1.8 million (yes, million) words of text. When we think about Search Engine Optimization, we often think of something done after the content is ready for the web. This logic, however, can reduce the overall effectiveness of video marketing. As a leading Cincinnati video production company, we create quality content with SEO in mind. It is essential to understand the audience and their intentions before the production of video. This goes beyond targeting a certain demographic. It requires a strategy aimed at answering an important question – Why? Why do people view video content? And, more specifically, why do they view your content? The ability to answer this question allows you to deliver to your audience what they want, rather than trying to find an audience for your video. The power of video drives sales. As a Cincinnati video production company this is our primary goal. By forging a bond between video content and the audience, you are able to clearly communicate your message while boosting your site’s SEO. Which Comes First: SEO or Video? 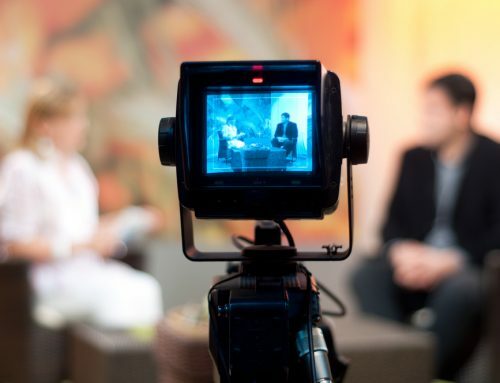 The relationship between video content and SEO isn’t a complicated one. For effective video content marketing, SEO should be considered first but they don’t part ways at the end of video production. The most effective marketing strategies will use optimized content to further improve SEO for your site. Just having video content on your page will boost your rank. Search engines give more weight to sites with mixed media that exhibit relevance to search terms. By simply integrating video into your marketing strategy, you’re enhancing visibility and web presence. Include keywords to describe your content. The more relevant information you provide to search engines, the easier it will be for your audience to find you. This applies not only to titles and descriptions but to file names as well. Video length is important to load time. Viewers won’t often wait longer than a few seconds for the video to load, which makes the type of device and the platform important considerations. 57% of mobile users will abandon the site after approximately three seconds of waiting. Be certain that you are optimizing your video for the appropriate device. Social Media is a powerful tool for sharing content. This drives traffic to your site, whether through direct links or via click-thru’s from your video hosting service. Having good quality video is only half the battle. It’s essential to have the right team to drive your content. Black Tent offers battle-tested strategies to companies in Cincinnati and nationwide looking to harness the power of video to drive sales. Black Tent offers creative full service corporate video production services. From concept and shooting, through editing and post production, we deliver award-winning, creative Cincinnati video production and brand video production. In today’s competitive market, you want to ensure every dollar you spend delivers maximum results. Learn more at http://www.blacktentproductions.com.